Today is the start of Depression Awareness week, and it runs until the 3rd May. It’s a great opportunity to raise more awareness about the illness, what it entails, and how to best manage it. But what is depression? How would you define and describe it? This list is not comprehensive by any means, and you don’t necessarily have to have all of the symptoms. The Royal College of Psychiatrists have published a very useful fact sheet on depression which is worth reading for further information. So what can you do to improve your mood when feeling depressed? There are certain self-help methods you can carry out which can boost your mood, such as exercise. This doesn’t mean that you need to spend every evening at the local gym. A short walk around the block can be effective enough when done regularly. You can also look into changing your eating habits. People who suffer from depression tend to either over-eat or not eat at all. Healthy eating will have a positive effect on your mood. It is also worth keeping an eye on your alcohol intake. Excessive drinking can worsen your mood because alcohol is a depressant. You can also help yourself by talking to your family members and/or friends, who might be able to help and support you. There are also various helplines which can be useful when feeling low in mood and helpless. If you feel that these self-help methods are not adequate enough, and your mood doesn’t seem to improve, it might be worth seeing your GP. She/he will discuss with you other treatment options, such as prescribing an anti-depressant, and/or referring you for counselling. How will counselling help you? Counselling gives you the opportunity to discuss your feelings with someone who understands, and doesn’t judge you. Counselling allows clients to unravel the issues they have been struggling with, and helps them to make sense of what is wrong. Counselling will empower you to move forward, and for you to feel stronger. Hello, and welcome to my profile page. 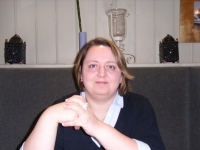 My name is Eeva, and I am a fully qualified and experienced counsellor. I run a busy private practice in Gamlingay, near Sandy (SG19), Baldock (SG7), and Friern Barnet, North London (N11). Located in Sandy and Baldock.